After the first three matches of IPL 2019, many fans and pundits raised questions about Pollard’s form and contribution. But, Mumbai Indians captain and coaching staff kept backing him, and the big-hitting all-rounder proved them right by making a valuable contribution. Kieron Pollard played one of the most destructive and brutal T20 innings of his career on Wednesday against Kings XI Punjab, at Wankhede Stadium. It was a knock that Mumbai Indians will remember for a long time. Those who were present at the stadium consider themselves very lucky to have witnessed one of the best IPL innings till date. Chasing a massive total of 197 runs, Mumbai Indians lost early wickets, and the power-packed middle order tumbled under pressure. At one point of time, KXIP were looking like clear, but Kieron Pollard was standing tall in the middle order and witnessing his teammates fall. You could see from his eyes that he was focused on winning it for his team. The packed house at the Wankhede Stadium was, as always, totally in support of their home team and the ‘sea of blue’ was hoping for a match-winning knock from their captain Kieron Pollard. However, after the fall of Hardik Pandya’s wicket, the level of noise in the stadium came down significantly. Hardik has been finishing the games well for Mumbai in IPL 2019, and his wicket was a big let down for the enthusiastic Mumbai crowd. But, the big man, was unmoved. He kept muscling the ball whenever it was pitched in his zone and managed to keep Mumbai in the game until the second last over. Almost every shot came from the middle of his bat, and the ball was flying across the boundary rope and into the stands. He reached his fifty off 22 balls, and 42 out of his first 50 runs, came in sixes. He smashed six towering hits and didn’t allow the required run-rate to skip too far away from his reach. In the penultimate over, Kieron Pollard took Sam Curran on and scored 17 runs off his over. It was, arguably, the most important over of the match and Mumbai Indians’ stand-in captain was at the top of his game and put the youngster under pressure with his monstrous hitting. Earlier, in the 12th over of the match, Pollard had smashed two sixes and a four off Curran. In total, Pollard faced 15 deliveries from Sam Curran and smoked 47 runs. 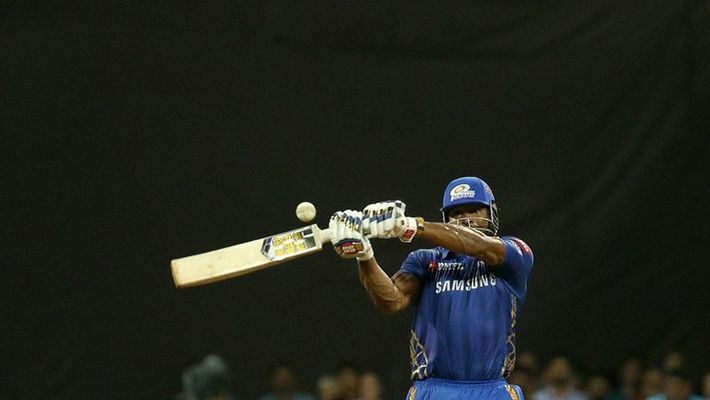 Unfortunately, Pollard was caught at the boundary when Mumbai Indians needed just four runs to win. His wicket created a lot of pressure, but Alzari Joseph kept his cool and took Mumbai Indians across the finish line. The match will be remembered for Kieron Pollard’s 83 runs which he scored off 31 balls. Let’s have a look at three things we learned from Kieron Pollard’s match-winning knock. Pollard's strike rate of 267.74 in the match against Kings XI Punjab is the fourth best strike rate in an innings (minimum 40 runs) in IPL 2019. His overall strike rate in the season has also gone up to 194.56, which is only second to Andre Russell’s 212.39. Kieron Pollard’s return to form is a huge boost for Mumbai Indians. His presence, along with the Pandya brothers, makes Mumbai’s middle-order the best in the tournament. These three big hitters can destroy any bowling attack and the turn the game in Mumbai’s favour in a matter of few overs. These three are also very experienced cricketers and have played a lot of matches together for Mumbai Indians. Here is our best Indian eleven for World Cup 2019; what's yours?